5 Unusual types of ice cream will not believe exist! #1 Wasabi Flavored Ice Cream Anyone who has ever had sushi before knows what Wasabi is. If you have never had sushi, wasabi is a thick paste or sauce made from a Japanese plant with a thick root. Wasabi is full of flavor and it is extremely spicy. 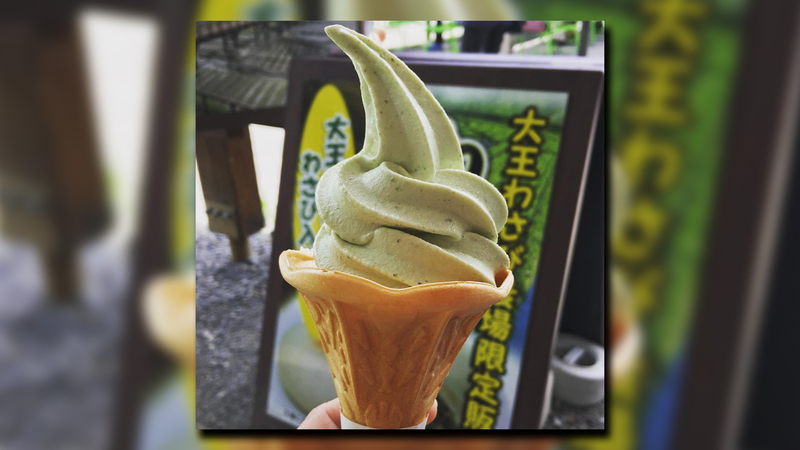 Considering that Wasabi is a spicy addition to sushi, one would think that it would make an awful flavor for ice cream, however, someone thought that it would be a good idea. The ice cream is a strange combination of cold and spicy, and it is one of the most popular flavors of ice cream in Japan. #2 White Chocolate Black Olive Ice Cream White chocolate is delicious, but you don’t see it too often in ice cream. If you are lucky, you might be able to find it in your local supermarket. This ice cream makes a rare flavor even rarer. It is white chocolate ice cream with small bits of black olives mixed in. The black olives give the ice cream a tangy flavor. It looks like chocolate chip ice cream, but it tastes far different. 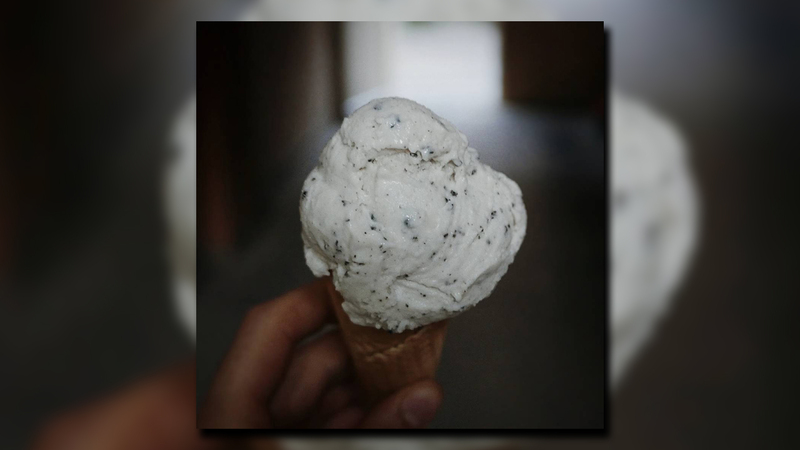 You cannot find this ice cream in most places around the world, however, if you are planning a visit to Berlin, Germany, you can find it at the Einer Dieser Tage Ice Cream Parlor and Coffee Shop. This may sound like a strange combination, however, the people who eat at Einer Dieser Tage swear by it. #3 Prime Rib Ice Cream With Bourbon, Caramel, and Apple Many people love to sit down to a nice prime rib dinner, followed by a caramel apple crisp and maybe a shot of bourbon later. The owners of Ted and Wally’s in Omaha, Nebraska took all of the delicious parts of this meal and they turned in into a flavor of ice cream. The shop was established in 1986, and since then, it has been very successful. They do more than just sell ice cream that is all wrapped up into one meal, they also sell vegan ice cream, sugarless ice cream, frozen yogurt, and sherbert. If you are planning a trip to Omaha, you should consider stopping in for a scoop or two of prime rib ice cream. What could be more refreshing? #4 Almond Charcoal Ice Cream Little Damage is an ice cream parlor in Los Angeles, California, and it is famous for launching some very colorful flavors of ice cream with very strange names. You can walk in and order a pink and purple dish called Unicorn Tears. Recently, Little Damage decided that it was time to create something for the Goths who love ice cream. This is when the Almond Charcoal Ice Cream was born. 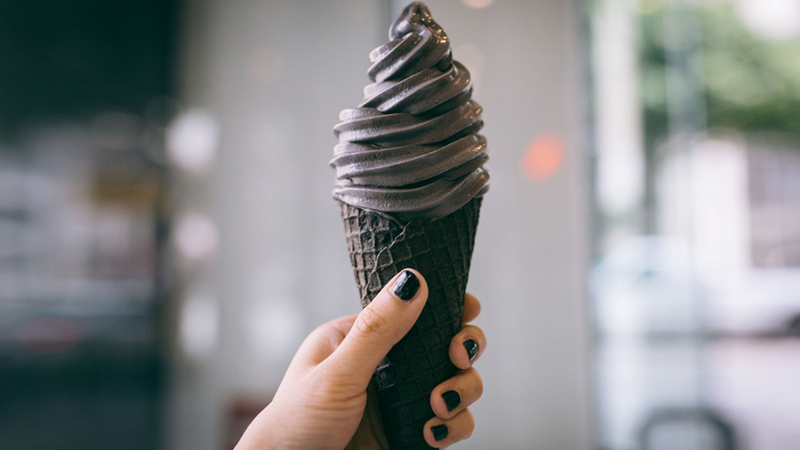 The ice cream is jet black, and it has a charcoal almond flavor. Even the cone is jet black. When you eat this strange treat be careful, it will turn your lips, teeth and tongue black. If dark black Goth ice cream isn’t your forte, Little Damage has plenty of other flavors on their menu. Chances are, you will be able to find something that you love. The Unicorn Tears are supposed to be great. #5 Jalapeno Strawberry Ice Cream This flavor definitely deserves a spot in the top 5 unusual types of ice cream will not believe exist! Strawberry is one of the most popular flavors of ice cream in the world. Jalapeno peppers are one of the most common types of pepper, and they are used in millions of recipes. The Jalapeno Pepper even has its own dish, the Jalapeno Popper. These are deep fried Jalapeno peppers that are stuffed with either cream cheese or nacho cheese. While both strawberry ice cream and Jalapenos are very popular alone, they are more popular together than you would think. 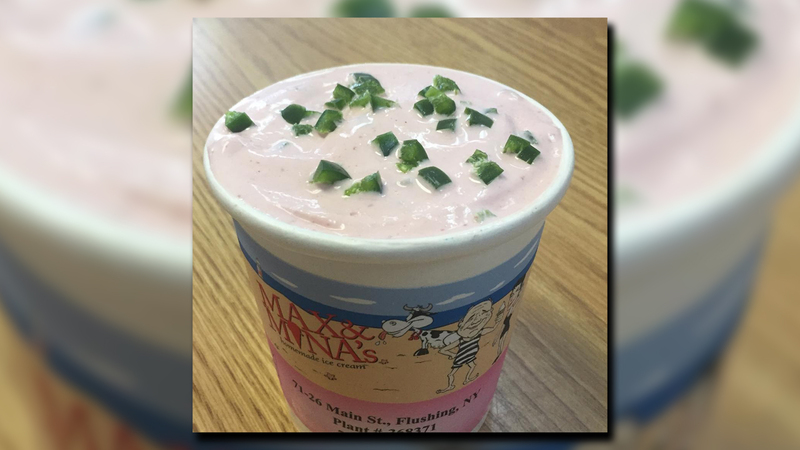 There is a restaurant in New York City called Max and Mina’s who put these two foods together to create a flavor of ice cream. Millions of tourists visit this amazing ice cream parlor each year just to try this strange concoction. Honorable Mention: Extra Virgin Olive Oil Ice Cream Most people use extra virgin olive oil as a cooking ingredient. It can be used in millions of recipes and most people use it when they cook pasta. Olive oil is also used to fry foods and as a salad dressing. What you may not know is that it is also a delicious ice cream treat. The people who own Odd Fellows in Brooklyn, New York thought that this would be a great ice cream flavor. 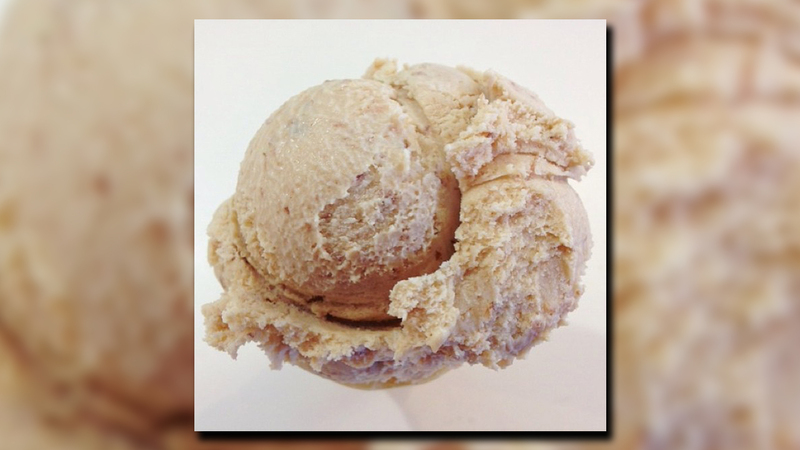 While it may sound like one of the strangest flavors on Earth, according to Odd Fellows, it is one of their most popular flavors. 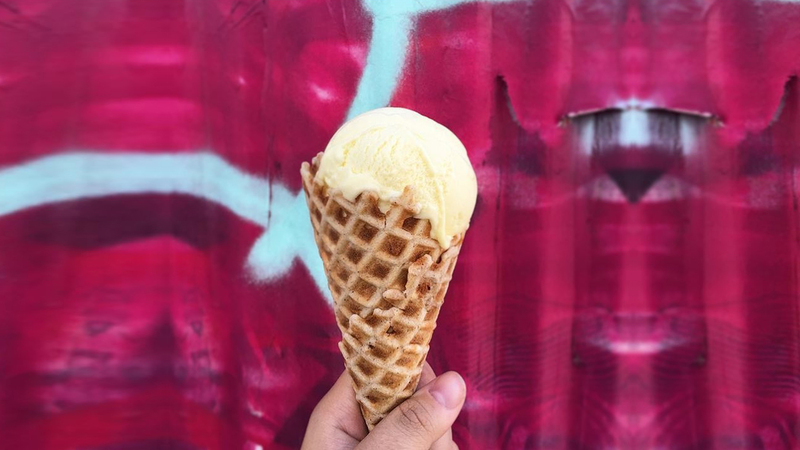 Before you write this flavor off, visit Odd Fellows next time you are in Brooklyn. You could end up being pleasantly surprised.